What is the best exercise to help you lose weight in your 40s? This is one of the most frequent questions I get. 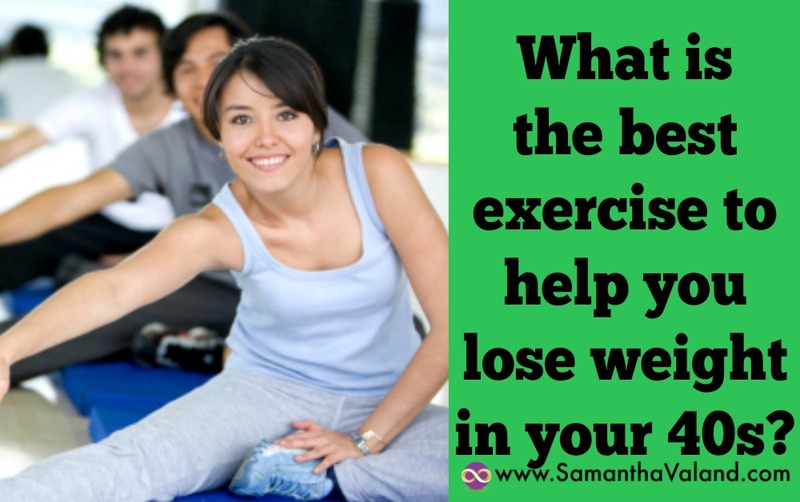 I usually flip the question and ask if you have tried exercising before and find out why you stopped. Quick results are important; however consistency is the key to success. Fitness is not like studying for an exam, once you pass you then stop studying. You have to keep going. So I would explore why you have stopped. Then find something different for you to try that they have an interest in and enjoy so they will keep going. There is more than one way to skin a cat. So my answer is always the same for people who are new to exercise. Find something you enjoy and keep doing it. Getting into the habit of exercising regularly whatever that may be. Doing any form of exercise 2-3 times a week. Is much better than occasionally doing something you hate or getting injured and having to stop you because it’s something you ‘should’ be doing. Weight training provides amazing results and will change your shape. Your muscle mass and therefore your metabolism decreases as you get older unless you do something about it. This means the number of calories you need to consume to stay the same weight decreases as you get older. Weight training increases your metabolism, which means the amount you need will stabilise. Weight training helps to balance your hormones. Which is an added bonus as many of our menopausal symptoms come from hormones being out of balance with each other (rather than just lowering). This can help you to get your waistline back! I know a lot of women are not comfortable in the weights area of gyms. However, there are so many other options available to you these days. If it’s new to you it is always worthwhile to have instruction beforehand to ensure your technique is good before practising on your own. Women become more sensitive to stress in our 40s. For some exercise becomes a stressor. Perhaps you are exercising too much, not having enough rest in-between session; sometimes it’s responsibilities at work and home. Changing how you exercise to bring balance will also help change your shape. Particularly if your shape and has widen at the middle. Restorative exercises include relaxing walking – not power walking – in parks or green space and Hatha Yoga. With exercise, the goal is to do something rather than nothing. The ‘something’ will keep changing whether you are focusing on fitness, strength or health. Energy levels often fluctuate with our hormones so have a Plan B in mind so you are prepared and can adapt. Training for a marathon is an awesome goal. So is exercising 2 to 3 times a week for the rest of your life. Find something you enjoy and keep doing it!